Do not use your dogs crate as a place for punishment. 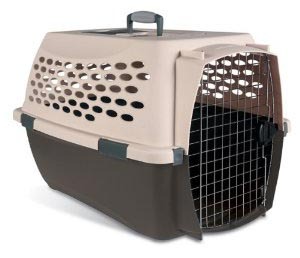 When talking to people that have used me to help train their dog one of the questions that comes up frequently is that their dog hates their crate. After discussing it turns out that a lot of times when the dog is being bad the dog gets punished and then put in their crate. It only takes a few times before the dog or puppy starts associating their crate with something bad. The crate should be made a place that is pleasurable and fun. I have quite a few training tricks and games that teach puppies and dogs to enjoy their crate. I am not saying that dogs should not be corrected for displaying behavior that we don’t want but the crate should not be a tool to teach the dog to stop bad behavior. There are other reasons as well that cause a dog to not like their crate and I will discuss some of those in a later post. —Enjoy your dog today and find a great place to let them run and enjoy your company.